1000 INSTAGRAM FOLLOWERS! THANK YOU! ​!!!! 1000 FOLLOWERS !!!!! 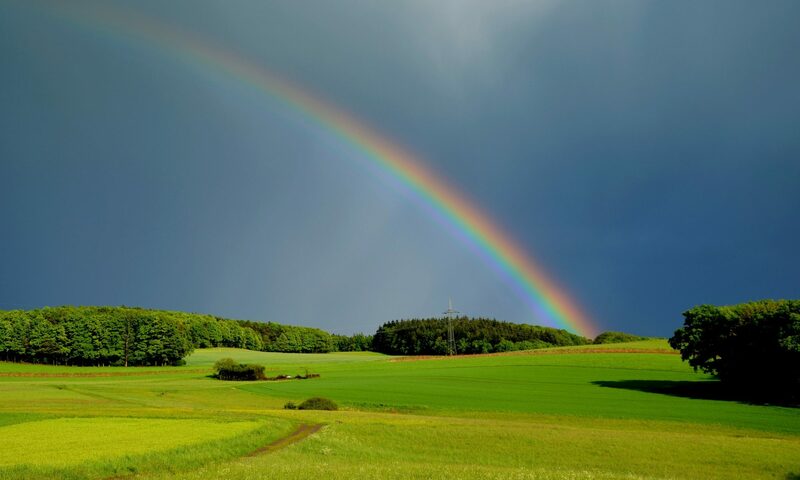 Thank you all so much for following Rainbow Bridge Online! Please continue liking, commenting and sharing these posts as we offer love and support to fellow animal-lovers during their darkest hours. This service is, and always will be, free. Here atRainbowBridgeOnline.com is where you will find all the pets waiting at Rainbow Bridge in a memorial wall, lots of poems and quotes to help you through the sad days, plus lots more. New Rainbow Bridge Store Launches Today! New ‘Rainbow Bridge Online’ Logo! This kinda puts it all in perspective! There is a giraffe in Animal Adventure Park in Harpursville, N.Y.called April and it is believed that she was due to give birth in mid-February, meaning she would have been pregnant since 2015. Although she was expected to give birth in April 2017, she is still showing no signs of giving birth at the time of writing this post (Mar 25th 2017)! Read more about this fascinating story here. They have even set up a webcam as it is closed season at the park and they use this as a way of keeping locals and interested people around the world up to date with her progress. Why is it so Hard when your Dog Passes? Why do so many of us animal lovers feel so much pain when we lose a dog? I know many people personally who say that the death of their dog actually hurt them more than the death of a family member. Some feel a sense of guilt when they say this, not just because of the possible repercussions from those who couldn’t care less about the animal world, but also because they feel that the death of a human is, or at least should be considered, more important than the death of a pet. Many people would agree with the negative bunch, it is hard to argue against it. However, that doesn’t take away from the fact that the pain of the grief is real, and it does hurt more and for longer for many people than it does for a relative. The welcome at the front door. Only true dog lovers will tolerate and in some cases appreciate the jumping up, the licks and the general madness which ensues when their dog hears the key in the door – that’s what its like in our house anyway as our Rottie just won’t grow up – but even the most laid back dog offers some kind of welcome. Never has the Mrs welcomed me with such vigour, and now-a-days I’m lucky to get a groan and a glance from my daughter who turns 13 in a few months. It’s no surprise we miss the overzealous and quite frankly unnecessary tail wagging when they pass. Walkies – just as important to you as it is the dog, you just don’t know it. The routine of gentle exercise, fresh air and, as they say in Cheers, ‘getting away from all you worries, sure would help a lot’. How many people continue with this escape when their best friend isn’t there to walk alongside them? Not many, if any. Noise – in the house. Whether it’s the growl at the menacing shadow of the leaves, the barking at the postman, heck we even miss the snoring and the farting (wouldn’t you give anything to have that back?). The house is soo quite when the paws are now busy facilitating playtime in the meadow in front of the bridge. Planning your life around them – another thing you may not realize, or something which has become the norm maybe, is how much planning we do around our dogs. We leave social functions early (sometimes as an excuse to get out), we can’t go out in the evenings as you’ve been out all day at work (sometimes as an excuse not to go to the gym), and as for holidays… I know in our house the holidays are planned around the dogs. We have extremely good kennels our pets have always gone to and, whilst they are on the expensive side, the peace of mind and knowledge that in the last 20 years or so they have stood up to the plate when needed, it suddenly seems very, very cheap. The fact that the cost of kennelling for our two dogs at the moment costs the same as getting to and from America pales into insignificance. I did dare to suggest to the good lady that looking at it another way, if we got rid of the dogs we could fly out to America more often…. no, I didn’t think that idea would go down too well on this post. It didn’t go down well at home either and a night on the sofa was had by me, which just meant the dogs had more space to stretch out on my bed. Kinda ironic, don’t you think? How many secrets have you confided in your dog? This point is probably more for the ladies – don’t deny that some of you have your little gossipy chats with the canines. You treat them like a girl friend in that way, and suddenly those pointed ears have been taken away – they’re no longer listening. Now you’ll have to wait until you meet up for coffee to gossip / discuss your well thought out and very insightful views. On a similar note, one for the manliest of men too (but only the honest manliest men); how many of us enjoy a cuddle with our dogs? There’s something about snuggle-time that no human can match, even if it involves getting covered in hair, pawmarks on your shoulders and the occasional lick on, and in, the ear. Its worth it though, and simply can’t be replaced. How many of us have bought birthday cakes for our pups? And prepared a special Christmas dinner? And leave them a bit of every meal we have so they feel part of the family? As for clothing, don’t get me started. The fact that there are so many reminders in almost every area of our lives, it’s no wonder we just can’t escape thinking about them. Our Rottie currently runs in to a room, grabs anything on the floor (usually my socks for some reason, and yes, they are clean) and runs away with them. He won’t damage or chew them, rather he will look down at me over his oversized black nose – I’m sure with a grin on his face. When I call him to give it back, his stump ‘wags’ (he was a rescue and it was chopped before we got our hands on him). Clearly a game for him, but not for me or my socks, so many I have prised out of his jaws to find them completely undamaged apart from a little sogginess he has left as a unique gift only he could share. He then runs away. I’ll never be able to put my socks on again without thinking of him. I’m sure you can think of many similar habits and mannerisms, as can I of pets past and present. Routine. They are the routine. In all areas. Now your routine has to change. People tend not to like change. This is all intensified by the issue that it is still very difficult to mourn the passing of your animal in public. Some, dare I say most, cannot relate to the depth of pain you’re feeling. We can all relate to the concept and the pain felt, but not necessarily the depth – how much it affects you in so many ways and for so long. And if anyone says ‘it’s only a dog’, ‘why don’t you just get over it?’ or ‘stop being so grumpy’ then they really do deserve a gentle brick in the face. Or two. That will give them something to mourn – the loss of their teeth. You see, there is no recognised, established socially accepted funeral / ceremony / event / assistance to help you through. I guess some closer friends may send you a card, or if they are slightly more modern, use social media (like Instagram) to share their love and show their support. That’s great in the comfort of your own home, but it doesn’t help when you have to return to work and everyone expects you to be yourself when you just can’t, or when you go to the store and see the dog chews you routinely bought every visit as a treat, but no longer have a need for. Explaining the smudged mascara running down your face to the sales assistant can be embarrassing at best, and that’s just for the guys, who have just bought 2 baskets of dog toys that will never get played with. There is a desperate need for a recognisable way of showing that you are grieving which has to be established and accepted socially and globally. Just as importantly, there has to be a way for those around you to acknowledge, understand and help you through the grieving process. As it becomes more common attitudes will slowly change and the less animal-crazy will at the very least allow you space to mourn for a bit longer than they would have previously tolerated before, hopefully putting an end to the negative comments being whispered in the break room by those who just don’t get it. It is my hope and intention, or if those words aren’t strong enough, it is my mission, to ensure that this social recognition will be led by Rainbow Bridge Online in two ways. Firstly, our Instagram Memorial Page will bring animal lovers around the world together, offering words of support and kindness to complete strangers. Completely free, available on your phone with the ability to send words, likes and little emoji’s with the click of a button, this is a perfect place to build our community. Secondly, following the loss of your dog and as you bravely take your first steps out in to the often critical and sometimes downright rude world of the shops or the workplace, the Buddy Memorial Pin will become a globally recognised symbol that you are grieving the recent loss of a pet, or being worn by the friend of someone going through the horrendously difficult bereavement process. I would be really interested and appreciative if you were to share your thoughts on the topics raised in this post. What did your pet do that will always remind you of them – hopefully with a smile on your face? What have your experiences been with pet loss? How have you found ‘society’ when going through this process? What are your thoughts on the Buddy Memorial Pin becoming the globally-recognised symbol for pet loss, with any profits from the pin going to charity? On a side note, if you are currently grieving and need some help, please consider self-hypnosis for Pet Loss … I am fully qualified hypnotherapist and highly recommend this therapy to help you through the pain. Lots of love to you and your loved ones, either past or present. This is Buddy. Buddy was inspired by the my poem A Single Tear, which describes how the pet feels when they arrive at Rainbow Bridge and the message they send I believe they would want to send back to their owner, if only they could. The tear reflects the shades of Rainbow Bridge and symbolises the loss felt by the pet. You see, you’ll notice a slight smile on Buddy’s face which almost contradicts the tear he is also wearing on his cheek but this is because for the majority of the time Buddy is content waiting for his owner, understanding that the time will come soon enough when they will be reunited again, but this is underpinned by a small part of him who is sad that he isn’t with the owner that he loves and trusts so much. I think that I have managed to capture this feeling in the poem and then go on to represent this in a simple, child like drawing. I wanted to keep him simple and I was inspired to some extent by the Great Ormond Street Hospital logo which is quite similar. In order to keep it simple I asked my daughter to draw the initial ideas… don’t get me wrong, at 12 years old she excels in art and is capable of much more detailed images, but she managed to capture exactly what I wanted in just a few attempts. I strongly urge you and hope that you will read my poem A Single Tear to fully appreciate what I am saying, and to see Buddy in a new light. Buddy now represents Rainbow Bridge Online. Although we have many animals with us, dogs do rule the roost although more designs of similar characters are planned. Our aim is to have the Buddy logo recognised around the world and for the Buddy Memorial Pin to become an international symbol for people to wear when they have lost a pet. Any profit we make on this pin will go to charity. A related blog will follow this one. We also plan a range of merchandise with Buddy as the symbol of Rainbow Bridge Online. These will be covered in further posts in the ‘Buddy’ category on the right hand side. In the meantime you can visit the Rainbow Bridge Online Store here. Please let me know your thoughts on Buddy and if you think he captures the sentiments I am aiming for, those being remembering your pets with a smile, whilst still acknowledging an underlying sense of sadness.